Join Joe on the 3rd installment of the critically acclaimed trilogy! This time, Joe is Hungry and your going to hear it! 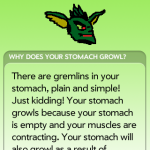 Joe’s Hungry is the only app out there that will let you hear stomach growls and rumbles, and even FEEL them. You heard him fart, then you heard him burp and belch, now hear another bodily function. All with silly, goofy, and fun animations. If you like potty humor, or South Park, you will love this stupid waste of time. This app has 14 different sounds, and we will keep adding more with each free update. Have one you want to add send it our way! It is very simple, just push one of the buttons, and hear a sound accompanied by a new graphic. It even comes with a timer! So you can hide your phone, or leave it out for a delayed practical joke! Like a whoopee cushion only with stomach sounds. This is an educational application too! Learn with Joe in the factoid, all about what causes your body to make the sounds! It’s a soundboard, cartoon, grumble bomb, and learning tool, all in one hilarious package! Beware, if you don’t like toilette, immature and “gross” jokes, you might not want to download this app. As always if you have any problems, bugs, or feature requests please EMAIL us and let us know. The timer can give you some creative uses of this app. Learn about the origins of Hunger! Audio or volume problems? 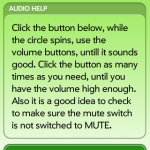 We heard you and added a audio help page! 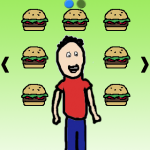 Tap a burger, hear his stomach. Sometimes, your not the only one hungry!